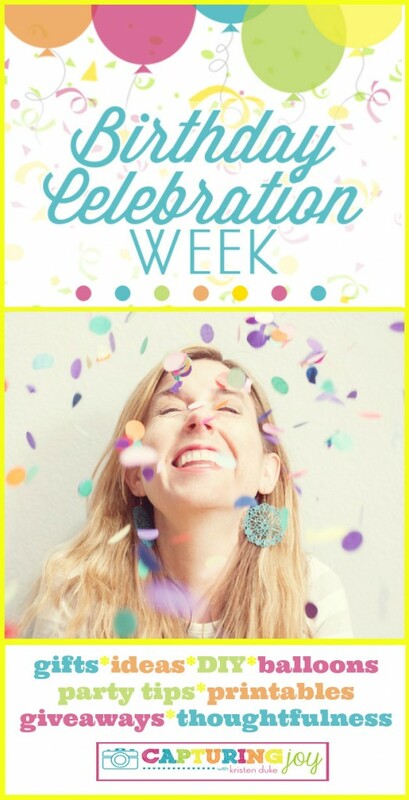 It’s birthday week, and I’ve got all sorts of fun birthday stuff for you this week! I’m delighted to share this fabulous Birthday poster coloring page from my amazing contributor, Malia! Hello! 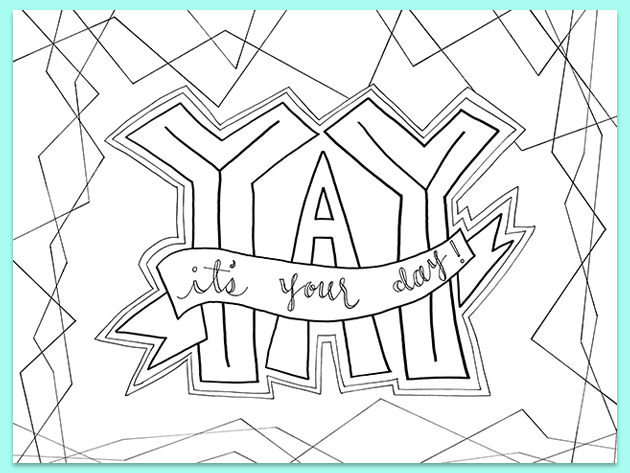 It’s Malia from Malia Creative sharing a fun hand-lettered coloring page BIRTHDAY POSTER with you today! I love the current trends right now. Throw them together and add a party to the mix and I’m a happy camper! This download is a great way to add a giant impact for a special day! 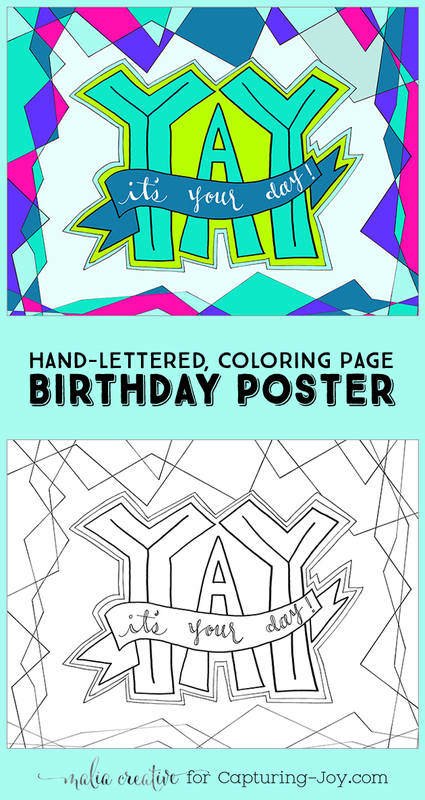 Download this free hand-lettered coloring page birthday poster here on Capturing-Joy.com, then send to your local Staples. You can print the 48×36″ black and white version for under $10 and customize to whatever color your heart desires simply by using crayons, acrylic paint, watercolor, markers….you get the idea. The sky’s the limit. 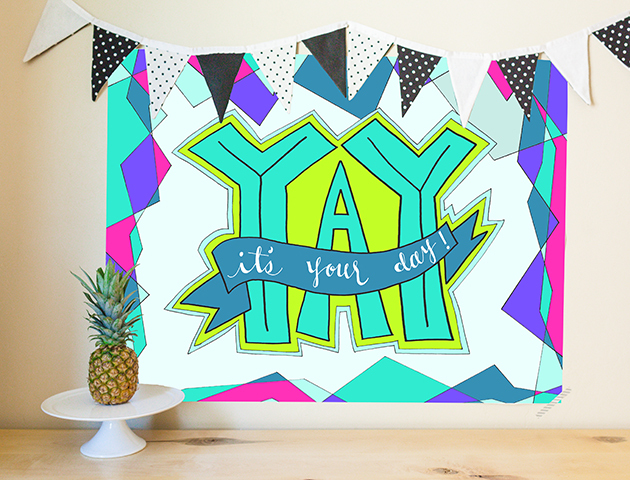 I love coordinating parties by color and using this giant printable will allow you cover your walls at a nice price. Get the free downloads of the black and white AND color versions below. 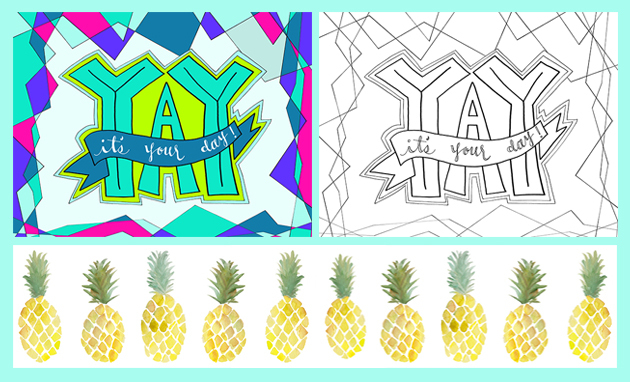 For more birthday stuff, check the Birthday Celebration Week post from last year for lots of fun printables and birthday gift ideas!